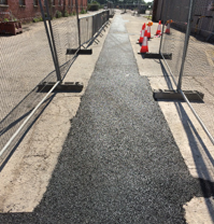 Industrial Contracting Services have recently completed drainage rationalisation works for a well known Industrial Manufacturer at their site in Derby, to isolate the Clarifoil Plant. 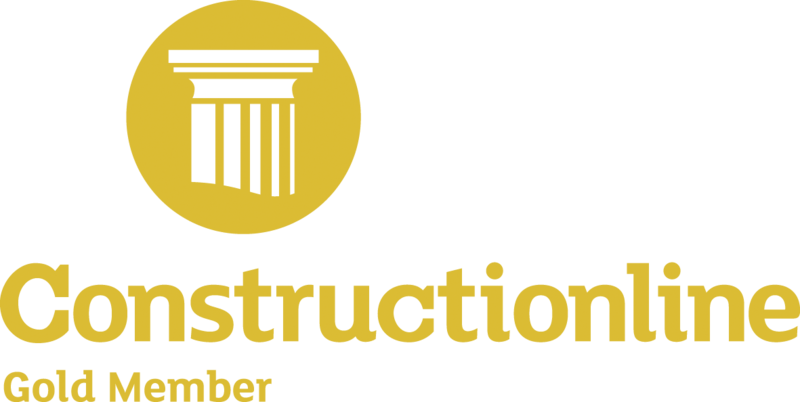 The project was completed on time and on budget taking 6 months to complete. The new 120m long, 600mm diameter main drain links an existing drain and new pumping tank to the newly fitted penstock chamber. 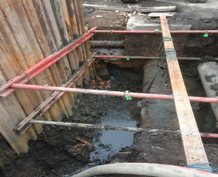 The drain was set 2.5m below ground level, and the water table was extremely high, so continual pumping was required to keep the water level down to allow safe working. 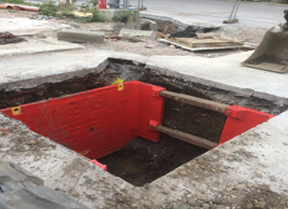 The new pumping tank was 3.8m deep and 1.5m in diameter, with an excavation 2m square by 4m deep to receive the tank. 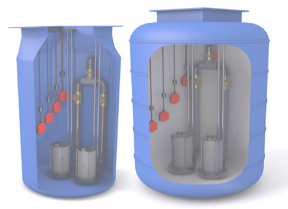 The tank was linked into the new and existing drainage system via an adjacent inspection chamber. 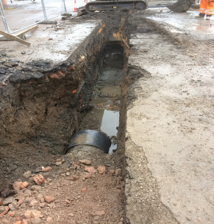 A trench of 110m long by 600mm deep was excavated, and a 100mm diameter riser main installed between the new pumping tank and an existing mains inspection chamber for the discharge of pumped water from the tank. 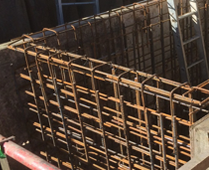 There were numerous live and redundant services running through the New Penstock location, which needed altering or removing prior to the forming of the structure. 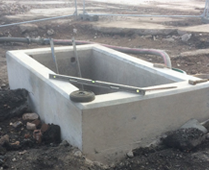 The New Penstock has been installed so that the Clarifoil drainage system can be isolated, to stop contamination passing into the local river should an incident occur. The New Penstock was constructed from reinforced, cast in-situ concrete with a stainless steel penstock valve, fitted with an electronically operated actuator.